Our efficient team of 12 staff members has over 300 years of combined experience in banking, finance, investments and customer service. We strive to know each and every one of our customers, and we pride ourselves on our warm, welcoming environment. You’ll feel right at home the moment you enter our spacious lobby and speak to our tellers or management team. Stop by to say, “Hello,” and have a cup of coffee. Gary joined the Jarrettsville Federal team as its leader in February 2015. 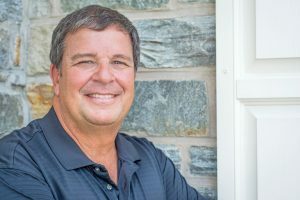 With more than 36 years of banking experience, he has set the tone for continued growth and impeccable client service at Jarrettsville Federal. His goals for the bank are not only measured in earnings, but also in being a good neighbor in the community. Gary has lived or worked in Harford County all of his life. He has roots here just like Jarrettsville Federal. He was actually born on Aberdeen Proving Ground while his father was in the Army. When not working in his office, clients will often see him in the branch with his team or in the community serving on the Arc Northern Chesapeake Board of Directors, Habitat for Humanity Susquehanna golf committee, various Rotary Club events or attending Jarrettsville Lions Club meetings and events. He believes in giving back to the community both personally and through Jarrettsville Federal, a true community bank. 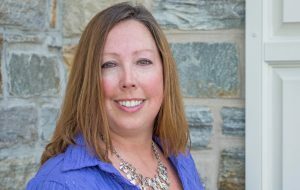 Following a career as a home health care provider, administrative assistant for Catholic Charities and full-time mom, Nancy joined Jarrettsville Federal in January 2005. She has combined her nurturing attitude and her strategic thinking to help the bank develop client and community relationships and move forward with continued growth. Nancy works with her team to guide and motivate them to reach their individual goals as well as those of the bank. She prides herself on providing the best customer service possible and knowing the customers. She is an EMT with Jarrettsville Volunteer Fire Company and has served on their board of directors as well as many committees, is an election judge with the Harford County Board of Elections, an active member and secretary of the Jarrettsville Lions Club, a graduate of Harford Leadership Academy, a member of the Harford County Chamber of Commerce and many other local organizations. She was a Girl Scout leader and District Coordinator for 12 years for her daughter’s troop and now serves as First Aider for her granddaughter’s Girl Scout troop. She and her husband, John, live in Jarrettsville with their West Highland Terrier, Daisy. They are the proud grandparents of eight-year old Kayla and her cat, Max. Nancy enjoys spending any free time with her granddaughter, as well as cooking, volunteering, listening to music and enjoying the outdoors. John says his career in banking began when he got a job as a part-time coin wrapper in the summer of 1972. From there, he was hooked, and went on to earn positions as teller, customer service representative, branch manager and commercial loan officer. John joined Jarrettsville Federal in February 2015, and he is becoming a household name in bank loans. He plans to expand the loan products available at Jarrettsville Federal and maintain the bank’s strong community relationships. Denise has been helping families achieve their dream of home ownership for the past 20 plus years. She is a 2018 graduate of the Harford Leadership Academy and currently volunteers at CTR (Chesapeake Therapeutic Riding). Denise worked at a big bank for 11 years but prefers the small community bank where she can get to know the customers and has been with Jarrettsville Federal since February 2015. In her down time she enjoys family time, traveling and riding her motorcycle.